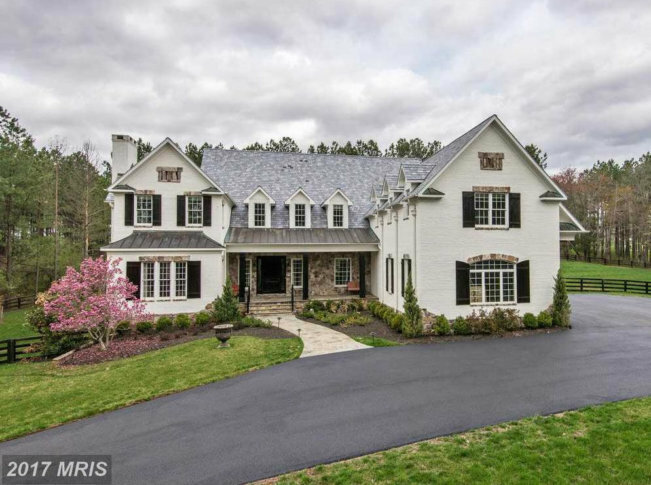 Former Redskins quarterback Robert Griffin III, who just signed a one-year deal with the Baltimore Ravens, is looking to sell his Loudoun County, Virginia, mansion for $2.69 million. See photos of the 8,600-square-foot estate. WASHINGTON — Last week, former Redskins quarterback Robert Griffin III announced he was signing a one-year contract with the Baltimore Ravens. But even though Griffin is returning to the East Coast after spending a year in Cleveland and taking a year off, it seems the old aphorism “you can’t go home again” might be apt. Griffin is looking to sell his Loudoun County, Virginia, mansion. The 8,600-square-foot house has four bedrooms, five full bathrooms and two half-baths. Its current listing price is $2.69 million. The farmhouse-style home, built in 2010, has a master-bedroom suite “fit for royalty,” the realty agency said. The lower level features a theater room, wet bar, stone wine cellar and an elevator. The estate also includes a heated pool, spa and pool house. The property has been listed with Century 21 New Millennium since October. The Washington Post reported Griffin bought the house in 2013 for just under $2.5 million and first put it up for sale in April 2016 for $2.75 million.